We just couldn’t the Holiday come without one more Thanksgiving printable for you. 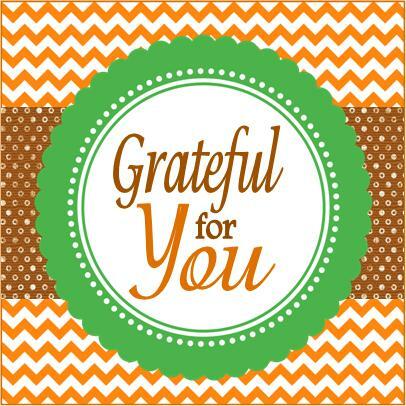 Just in case you want to give a token of your appreciation that doesn’t happen to fit with “Orange” we Blessed tag – here’s a simple expression of gratitude appropriate for all your friends, neighbors, teachers, and other special people in your life! What a wonderful holiday that allows us to stop and reflect on the good things in life. Those blessings always include wonderful people. We hope you’ll use this printable to put a smile on their face! I really like your recipes & tags, they are wonderful. Thankyou for being so creative & joyful!